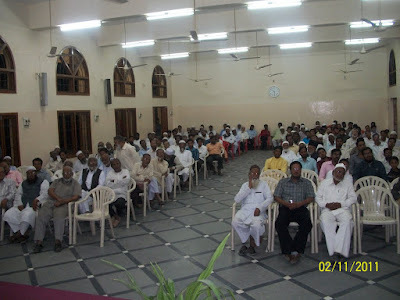 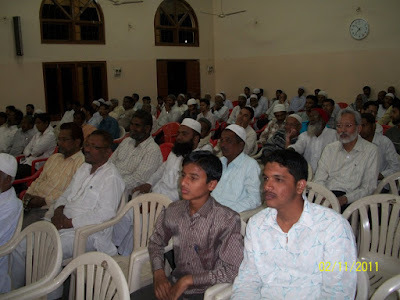 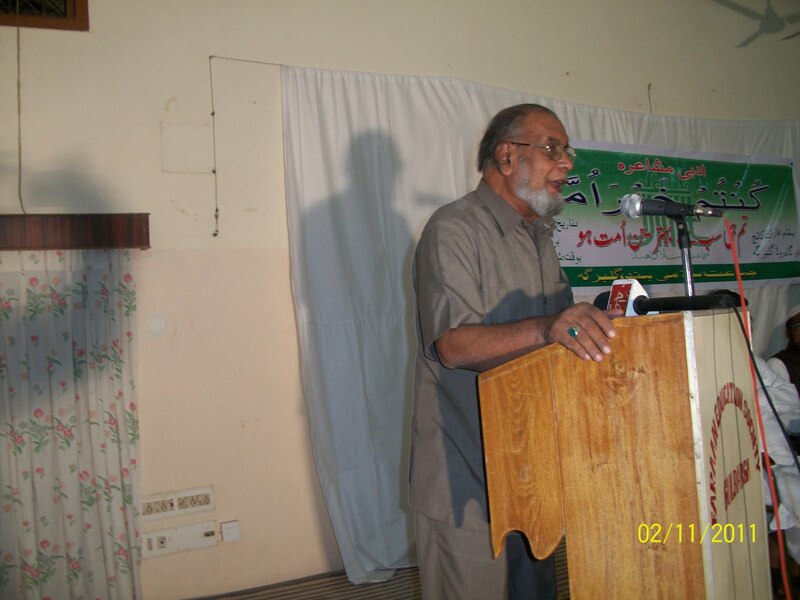 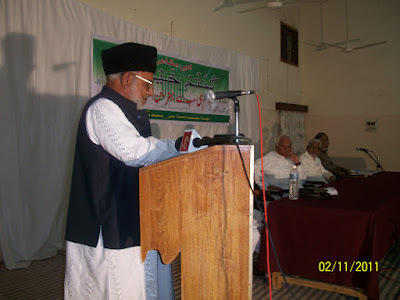 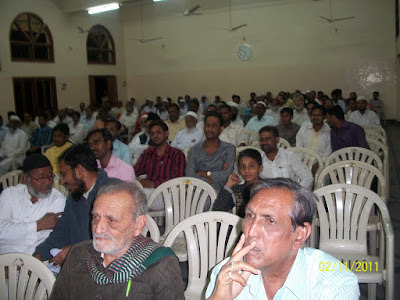 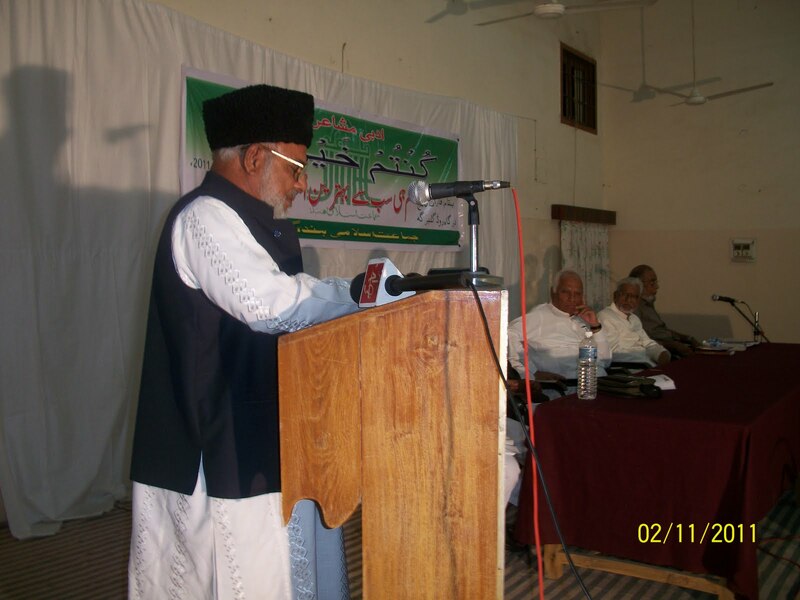 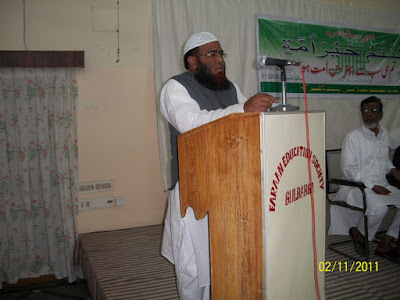 Idara e Adab e Islami Gulbarga organised a Mushayera on 11th February 2011 at Faraan College Auditorium Gulbarga on the tpoic " Kuntum Khaira Ummatin" as part of a ten day State wide Campaign by Jamaat e Islami Hind. 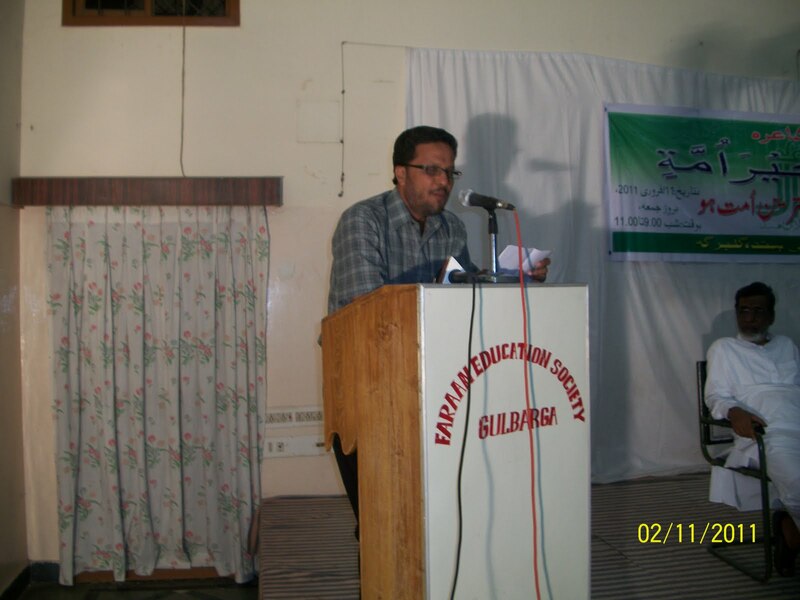 Mr Abdul Hameed, Chairman Faraan Education Soceity, Gulbarga presided the Mushayera. 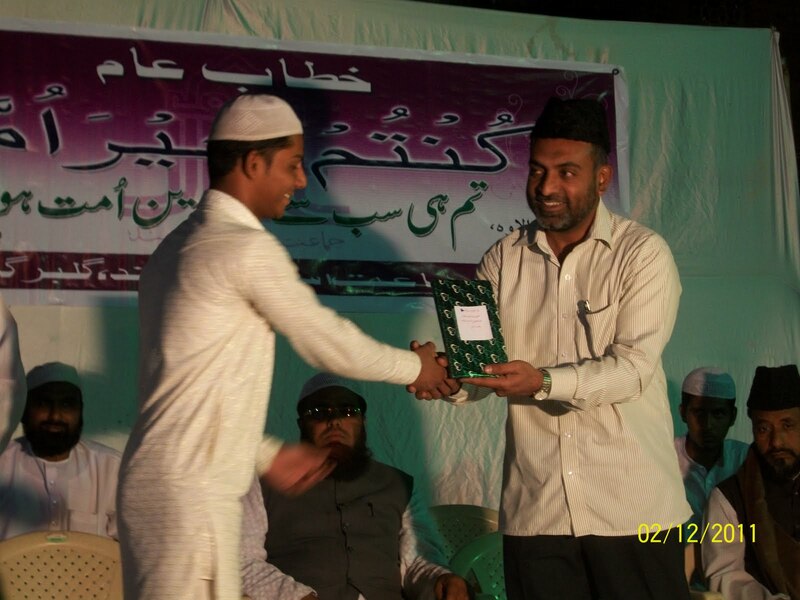 In a Mushayera in which well known poets of Hyderabad Karnataka region participated was introduced by Mr Mohammed Ziaullah, President, Jamaat e Islami Hind, Gulbarga by his inuagural address. It was convened by Gulbarga`s internationally acclaimed poet Mr Muhib Kaousar. 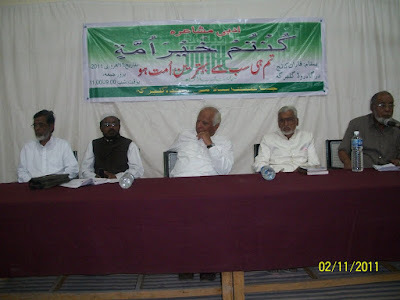 The Shura (Poets) who presented their Kalam ( poetry) were Jb Qaisar Razak Raichur, Jb Aazam Asar Shahabad, Jb Razak Asar Shahabad, Jb Nisar Ahmed Kaleem Bidar, Jb Sabir Faqruddin, Jb Akram Naqash, Dr Wahid Anjum, Moulana Vasiullah Rahmani, Jb Sayeed Arif, Jb Naseer Ahmed Naseer, Jb Maoin Manzar, Jb Vaqar Riyaz, Jb Sabih hyder, Jb Qaseem Akhtar of ETV Urdu, Jb Sajjad Ali, Jb Ateeq Ajmal, Jb Hasan Mahemood, Jb Rashid Riyaz. 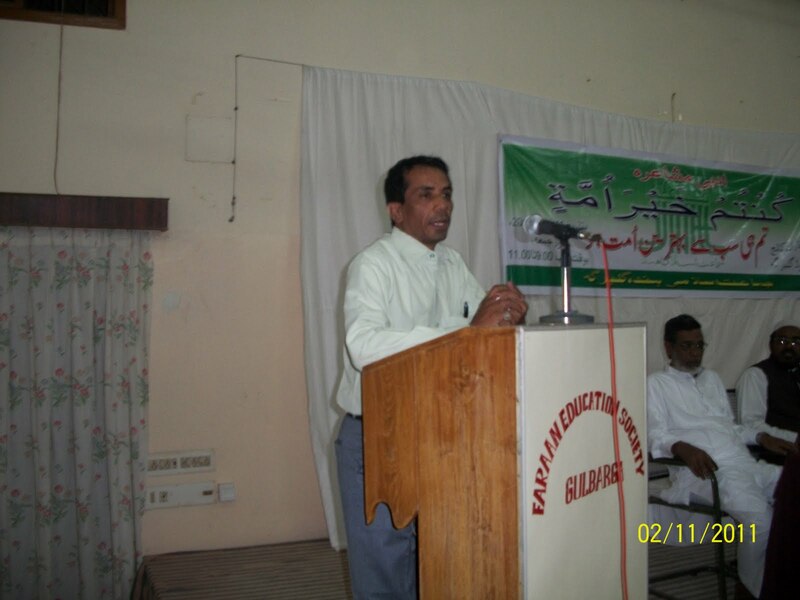 Jb Qazi Abdul Muhit presented his maidan kalam on the occasion.